” Strawberries pollinated by bees were of far higher commercial value. Bees have a much greater economic value than is widely known, according to a scientific probe into strawberry-growing published on Wednesday. Strawberries pollinated by bees were of far higher commercial value than fruit that was self-pollinated or pollinated by the wind. They were heavier, firmer and redder and had a longer shelf life, researchers in Germany found. Bees are under threat from hive “collapse”, a disorder that some have linked to pesticides and pollution. According to a 2011 report by the UN Environment Programme (UNEP), pollination by bees and other insects contributed about 153 billion euros ($204 billion), or 9.5 percent, of the total global value of food production. But such estimates could be far short of the mark, the new study said. A team led by Bjoern Klatt at the Department of Crop Sciences at the University of Goettingen in Germany planted nine commercial strawberry varieties in an experimental field. The plants were either covered with special gauze bags to allow pollination by the wind or other parts of the plant, or were left open for visiting by bees. The fruits were collected and graded according to standard commercial criteria for attractiveness. They were then put through a battery of lab tests for objective assessment of colour, firmness and resistance to premature softness or fungal spread. In seven of the 10 varieties, bee-pollinated fruit were more intensely red than their self- and wind-pollinated rivals. They were 11 per cent heavier than wind-pollinated and 30.3 percent heavier than self-pollinated fruits. They were also firmer, which meant their shelf life was about 12 hours longer than that of wind-pollinated strawberries and more than 26 hours longer than self-pollinated ones. In commercial terms, this is a big deal, said the study. More than 90 per cent of strawberries can become non-marketable after only four days in storage. Softer flesh exposes them to accidental bruising and fungus infection. In the 1.5-million-tonne European market for strawberries, bee pollination reduces waste by 11 percent, or $320 million, each year, according to the paper. 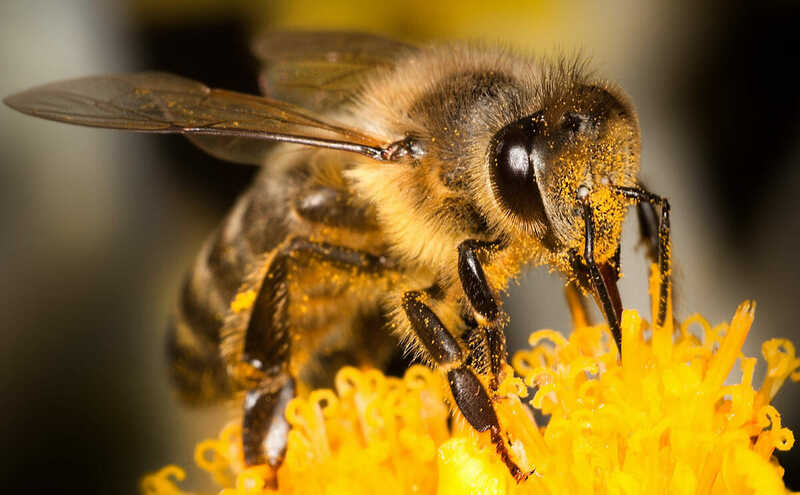 Add in other benefits, and bee pollination accounted for around $1.44 billion of the market’s value of $2.9 billion, the study said. Bee benefits may partly be explained by the effects on achenes, the tiny seeds that dimple the strawberry’s sides. Bee-pollinated strawberries had far more fertilized achenes than other fruit, because the insects, with their typical diligence, pollinated all of the plant, rather than just part of it. The achenes are important because they control levels of a plant hormone called auxin, which in turn influences a second hormone called gibberelic acid. Higher levels of the two hormones delay fruit-softening proteins called expansins. “Our results showed that crop pollination is of higher economic importance than hitherto thought,” said the probe, published in the British journal Proceedings of the Royal Society B. By saving food waste, the bee could also help to resolve a conundrum: how to feed Earth’s fast-growing population yet also preserve its shrinking environment.